When Dr. Dana Suskind began doing cochlear implants on infants at the University of Chicago—a cutting-edge surgical technique that allows once-deaf babies to hear—in her follow-ups with families she noticed a stark difference in how the now-hearing children acquired language. Once they could hear, some children’s language skills thrived and grew, while others languished. Why this was so began to nag at her. What was causing some children to leap ahead in their language skills? The difference turned out to be the words children heard from their parents and caregivers, millions of them. Baby talk, explaining and describing, asking questions even when they weren’t going to get an answer -- adults “using their words” is the thing that some parents and caregivers do thousands of time a day that builds a baby’s brain. Suskind found that, once parents understood the science of language-building, many were eager to try it out. While auditing a graduate-level course on child language development at the University of Chicago, Suskind heard about the groundbreaking Hart and Risley study on the differences in how parents from different income levels interacted with their children. After painstakingly following around families and recording how often they talked to their children, Hart and Risley found that the children of professional parents heard approximately 11 million words in a year, while children from poor welfare families heard only 3 million. Extrapolated over time, Hart and Risley surmised that, by the time poor children turned 4, they had heard 30 million fewer words than their richer counterparts. For Suskind, a lightbulb went on. 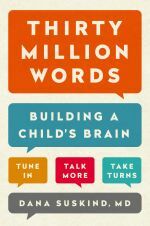 In Suskind’s new book, "Thirty Million Words," she explains the research behind the word gap in detail, along with her research-based initiative of the same name, aimed at boosting children’s brains in the first three years of their lives. Working together with researchers at the University of Chicago, Suskind and her team have created an action-based curriculum already used in home visits with 200 families of infants and young children, all of whom will be followed all the way to kindergarten. Their upcoming maternity ward curriculum will launch soon with 350 families, and they hope to expand the program to pediatric well-child visits. Many parents believe that because they didn’t do well in school themselves, they have no business “teaching” their babies anything. But showing them how simply talking, even baby talking (which Suskind calls “child-directed speech,” and said gets an undeserved bad rap), to their children can make a difference, changes their minds. “Even without science, we know intuitively that saying ‘shut up’ 30 million times is not going to help a child develop into an intelligent, productive, stable adult,” Suskind writes. She said that teaching parents the right kind of positive talk is built into the curriculum, and will be monitored for their ongoing longitudinal study of Thirty Million Words outcomes. "The [Thirty Million Words] home visiting curriculum has an entire module devoted to encouragements -- specifically person-based and process-based praise -- which has been very well received by parents," she said. "We explain the difference between praising the child versus praising the child for what he or she is doing, and how the latter actually builds resilience and determination in young children." * Tune In. “Tuning in” asks parents to follow the child’s lead, to stop what they are doing and join their child, engaging and connecting with them. Often this step means parents need to get down on the floor and help build the Lego castle, or color a page in the coloring book. * Talk More. Just like it sounds: Use more words and a rich vocabulary. Narrate the changing of a diaper or doing laundry, use descriptive words. Talk about the past or the future. * Take Turns. Suskind said many parents say, “But my baby doesn’t have any words! 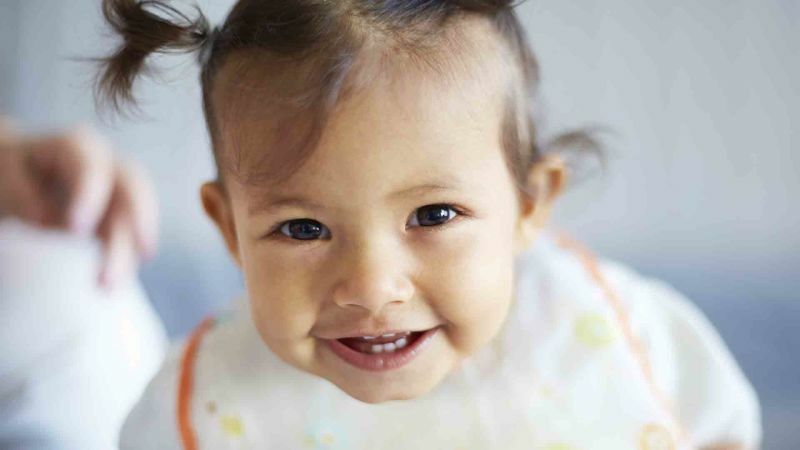 How can we have a conversation?” Viewing young children as a conversational partner means parents can respond to anything -- a gesture, gurgle or burp -- to begin showing young children how to have a conversation. Here, Suskind slyly slips in a “fourth T”: Turn off the technology to engage with your child. “We’re all at risk now, the technology is so seductive,” said Suskind, admitting that families of all income levels should find time to peel themselves away from technology to tune in and talk. While it’s not realistic to imagine never again getting immersed in a smartphone, understanding why technology doesn’t grow babies’ brains is valuable. Suskind’s passion for talk is infectious, and she hopes to turn not only parents who have benefited from the Three Million Words program into evangelists, but teachers and day-care providers, too. She encourages educators to tell parents about the science of talking to children, and to explain that any opportunity, even the most mundane, is an opportunity to practice the Three Ts. Especially reading a book together. Near the end of "Thirty Million Words," Suskind writes about James, a young dad who used the Three Ts with his son, Marcus, and then began telling everyone in his life about how he learned to talk to children. He even enlisted the help of his son’s day-care teacher.